Daily Acts of Resistance: CHIP covers 9 million kids, why hasn't Congress renewed it?! CHIP covers 9 million kids, why hasn't Congress renewed it?! Congress still has not renewed CHIP - the Children's Health Insurance Program, an important state and federal program that covers 9 million children and 370,000 pregnant women each year. Despite having two years to renew CHIP, Congress blew the September 30th deadline. CHIP is currently languishing in limbo-land while the states run out of money to pay for it -- which is very bad news for the kids and moms who rely on it. CHIP is actually a popular program which has enjoyed largely bipartisan support since it was enacted in 1997 but the Republicans are attempting to hold it hostage in yet another attempt to destroy Obamacare. Sigh. 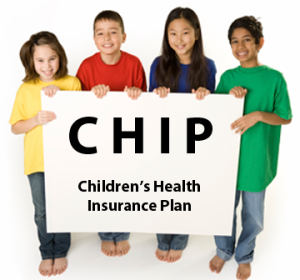 Please call your members of Congress to urge them to reauthorize CHIP immediately. Pregnant moms and sick kids really can't wait. 1. Find your Senator's number here. "Hi, my name is YOUR NAME and I'm a constituent calling from YOUR TOWN/CITY. I'm very concerned that Congress has not extended the CHIP program that provides health insurance to 9 million children - and 370,000 pregnant women each year. These families do not know if they will continue to have coverage and it's likely to run out soon. For the pregnant women, this may mean they do not have coverage when they need it most - like when they give birth! Many of these children are also sick or suffer from chronic conditions. Congress has had two years to reauthorize CHIP and there's no excuse for failing to renew it when millions of children's lives are on the line. I urge the Senator to do everything possible to ensure that it gets renewed before the end of the year if not sooner. Thank you for taking my call." 3. Hang up and call the other Senator. Then repeat with your House Rep - find his/her number here. 4. Please share! And I encourage you to tweet and post at your members of Congress about this, too.